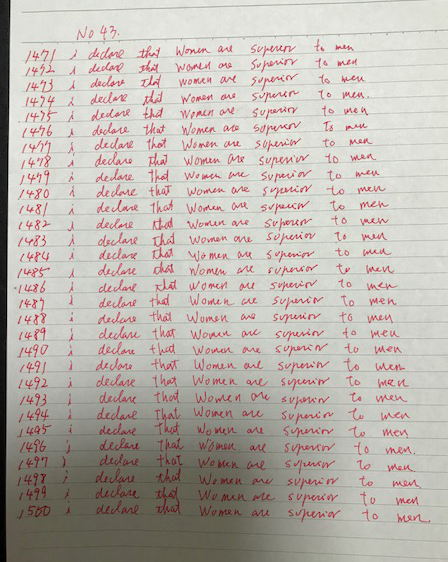 WOMEN RULE, men are slaves! Slaves are not persons, they are things, tools, objects. They need to be used! Hard labor is their duty. they are just an extension of Superior Female will. Court Verdict GvM018/18 issued today! for Her first Womania Stone! Court Verdict GvM017/18 issued today! Court Verdict GvM016/18 issued today! where we will realize 24/7 ultra-Matriarchal slavery society! 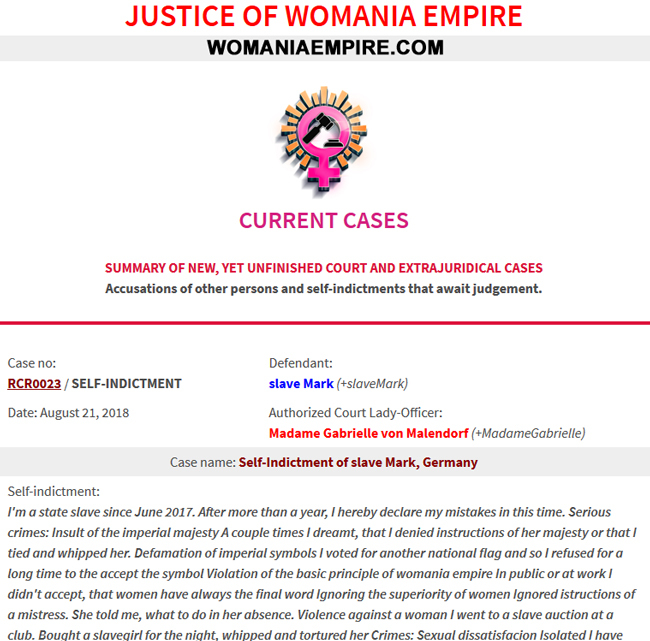 www.dominity.com - section "Donations for Womania"
Filmed at OWK Castle in May 2018 - 27 min. 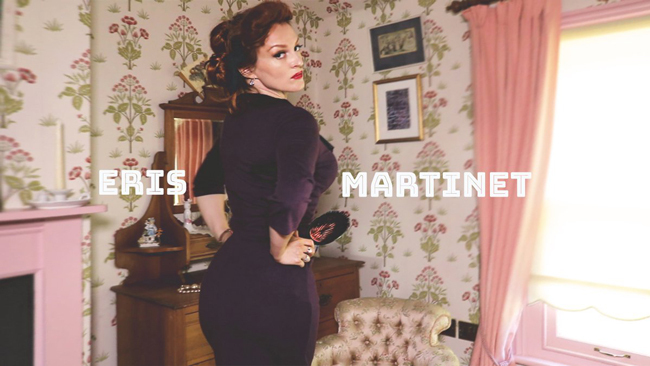 Female Supremacy is good for men because they only exist to give Women pleasure. In Womania Empire the only pleasure allowed for men is to please the Ladies with obedience, servitude and willingness to sacrifice themselves. Joy is exclusive to Women! and wait for instructions how to apply! We will send it out soon! received - this time without mistake. Filmed at OWK Castle in May 2018 - 34 minutes. Filmed at courtyard of the OWK Castle in May 2018 - 17 min. Female Authority dictates male behavior! and still struggle to control themselves. MY PRISONERS MUST NOT SMELL ! 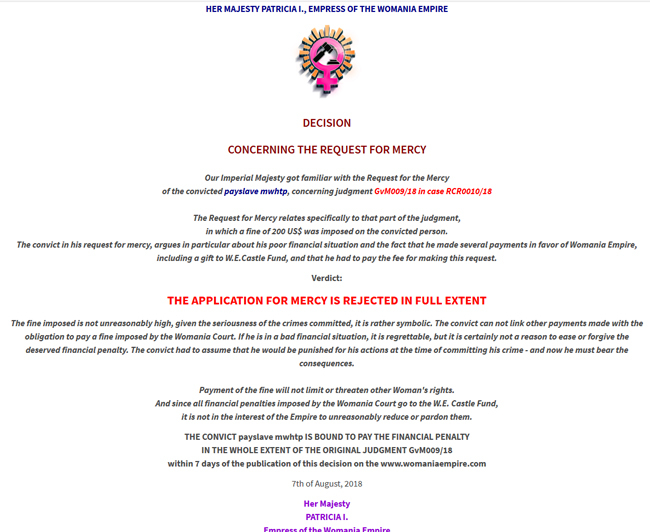 Decision of the Empress Patricia I.
concerning Request for Mercy was issued.